TD Canada has announced their money management app, TD MySpend, is approaching 1 million Canadian iOS and Android users, with over 500,000 of these users subscribed to instant push notifications. We first told you about the app last January, which soon debuted later in April. Twelve months later, the app appears to have gained traction amongst Canadians to see where their money is going in real-time, plus view spending insights. Over 2.4 million TD chequing and savings accounts are being tracked by the app’s nearly 1 million users. According to data from TD MySpend, users spend on dining out the most, with most increments in the $5 to $8 range for “coffee and cravings”. The top spending category was home-related purchases, with mortgage, insurance and renovation costs dominating finances. 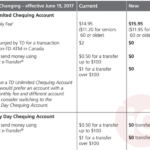 Cash usage appears to keep declining as only 12% of TD MySpend transactions were cash withdrawals, with the rest being plastic. TD MySpend users also spend the same on transportation as they do on buying groceries. TD says they found on average, those who use the app 1-5 times per month are seeing spending decreases of 8% per month, while occasional users (using the app once per month) saw an average drop of 4% in spending. The banks says users in the ages of 18-25 comprise 25% of active users, while those 25-35 years of age make up 33%. Earlier today, we told you TD Canada had eliminated its Interac e-Transfer fees. Click here to download TD MySpend for iOS in the App Store. The app, despite its popularity, has been plagued with bugs and iTunes reviews have stated numerous issues with the app not showing push updates.